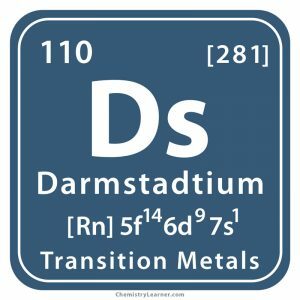 Darmstadtium (pronounced as darm-STADT-ee-em ), represented by the chemical symbol Ds , is a synthetic, radioactive element belonging to the family of transition metals . It has 15 known isotopes with mass numbers ranging from 267 and 281. The last isotope has the longest half-life of 4 minutes . It cannot be found naturally on earth. Small amounts have been synthesized in laboratories by nuclear bombardment [1, 3]. 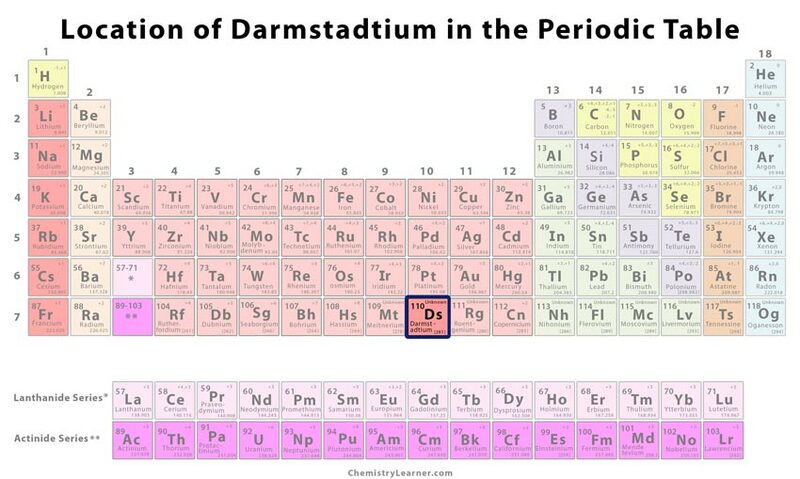 Origin of Its Name: It is named after Darmstadt in Germany, the place where it was first produced . Who Discovered It: Czech physicists Sigurd Hofmann, Peter Armbruster and Gottfried Münzenberg . When and Where Was It Discovered: It was discovered on Nov 9, 1994, at the Gesellschaft für Schwerionenforschung (GSI) in Germany [1, 2]. 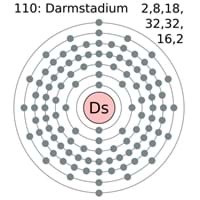 Ds-267 was obtained by Albert Ghiorso and his team at the Lawrence Berkeley National Laboratory, California, by bombarding bismuth with cobalt. However, they could not confirm the results of their experiment at the time. In 1994, Yuri Oganessian and Vladimir Utyonkov made Ds-273 at the Joint Institute of Nuclear Research in Dubna, Russia by bombarding plutonium with sulfur. In the same year, a team at GSI headed by Armbruster and Münzenberg, bombarded lead with nickel to produce isotope 269. The latter group’s findings gained worldwide recognition and were deemed more reliable giving them the authority to name the element . Since only a few atoms of the element have ever been made, it is only used for research purposes . The radioactive metal is unstable and decomposes quickly into other elements that do not pose a health risk . It was known by the name ununnilium (un-one; un-one; nil-zero; ium-the standard prefix for all elements) before getting its official name [9, 12]. 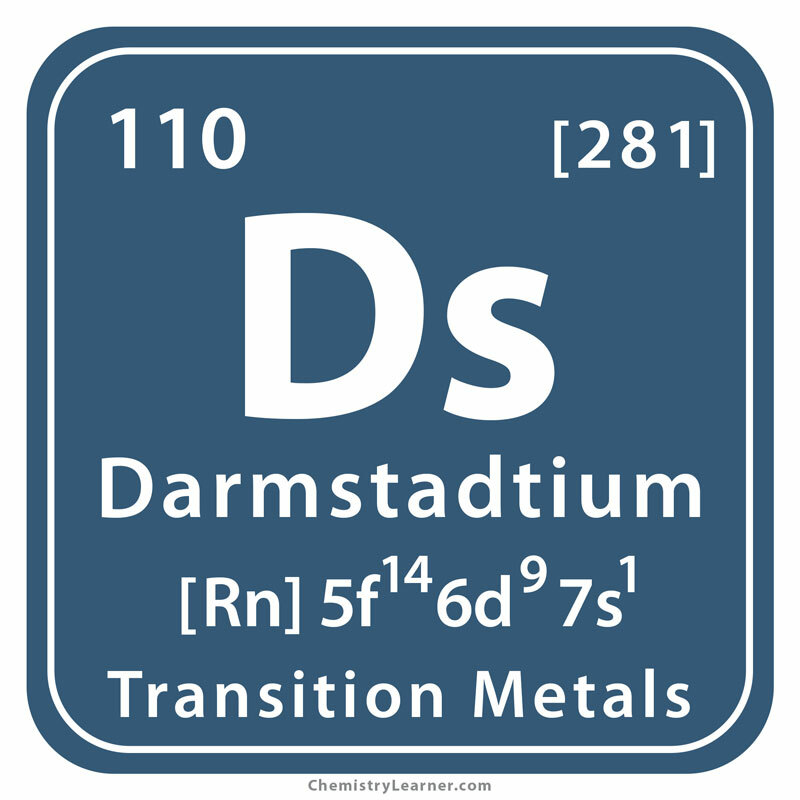 An atomic weight of 281 has earned it the epithet of a super-heavy atom. However, it takes just one-thousandth of a second to decay . Unknown, as only tiny amounts have been produced in laboratories [1, 3].